SkySolar chose us to shoot seven solar drone videos, and design and build their new website in 2016. Over two days we drove across Auckland from Karaka to Piha and made the most of some fine weather. The video and photography shoots provided a great bank of imagery, from 2kW to 10kW installs including a rural ground mount, which feature prominently throughout all their creative, including a home page video. We also contacted each customer on their behalf to source feedback and comments on each install we filmed. This was turned into an 'Installs & Reviews' section. 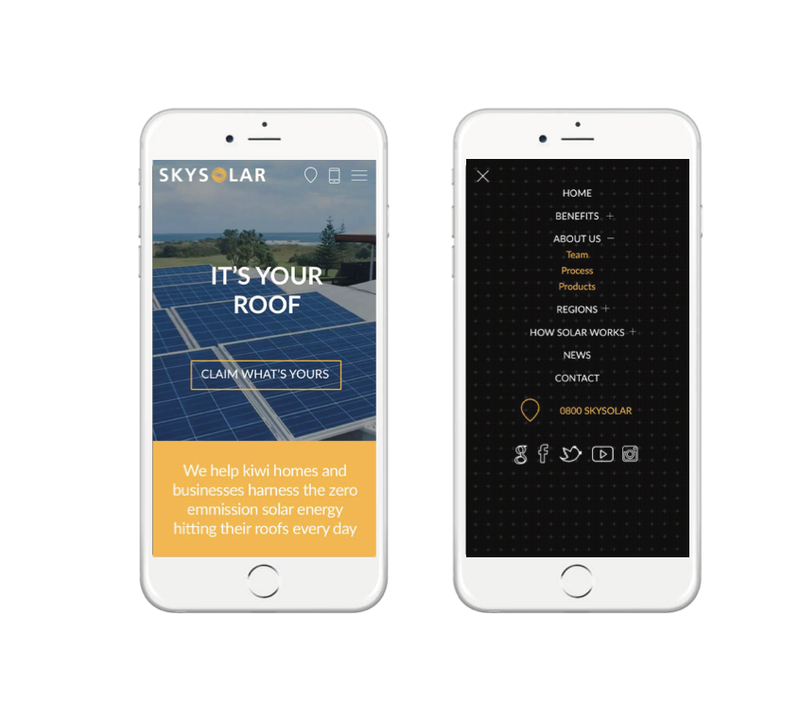 The new site was designed to really showcase the single-minded focus and pride in the work SkySolar has. To visually communicate the expertise they offer in a competitive market.